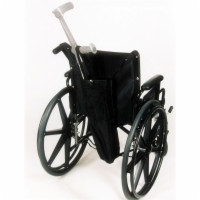 If you are looking for a way to conveniently carry an oxygen tank, crutches, a cane, a walker, or other aid, then look here. 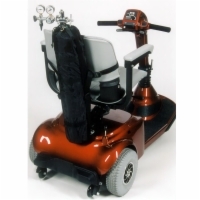 We carry a variety of holders for both power wheelchairs and mobility scooters. Straps to the back of your power wheelchair or mobility scooter and stores your cane securely. 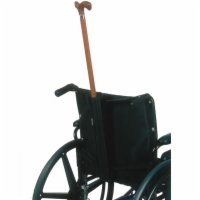 Straps to the back of your manual wheelchair and stores your cane securely. Straps to the back of your power wheelchair or mobility scooter and stores your crutches securely. 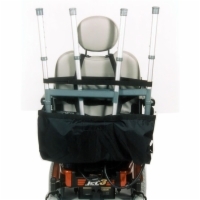 Straps to the back of your manual wheelchair and stores your crutches securely. Straps to the back of your power wheelchair or mobility scooter and stores your folding walker securely. 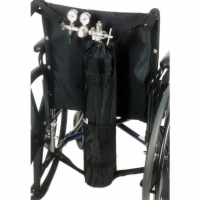 Straps to the back of your power wheelchair or mobility scooter and stores your oxygen tank securely. 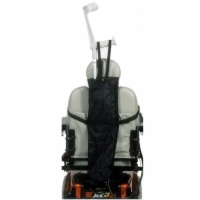 Straps to the back of your manual wheelchair and stores your oxygen tank securely.